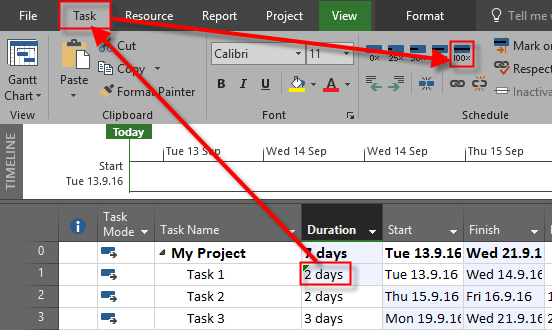 ← Resource capacity in Hours with MS PROJECT 2016 – is it possible? 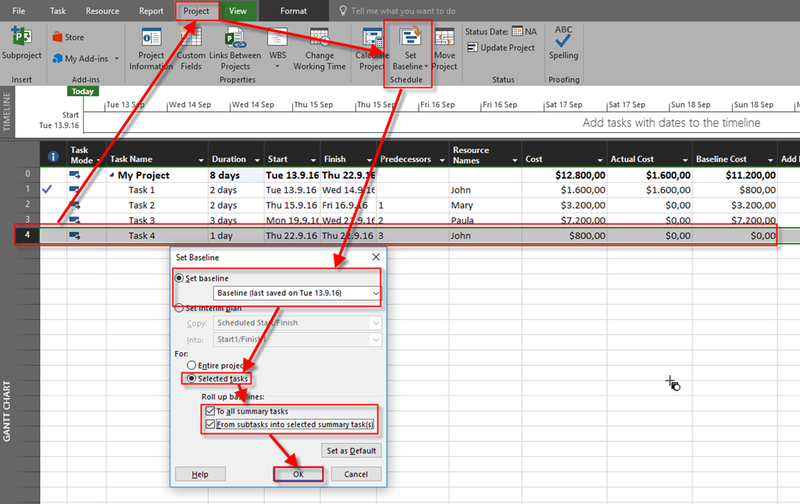 I have some quires about cost tracking in MS Project. 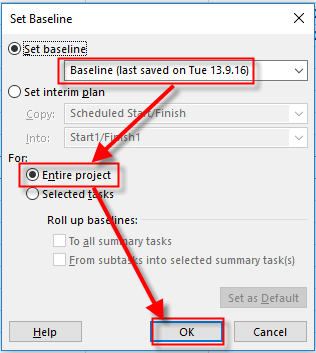 I had previously saved a baseline and updated the progress for tasks in it…. then I had to make some changes and added another task. Now I had to save a new baseline for it. but this time cost table show actual cost of completed tasks for new baseline cost.How can we explain this? It is going to affect the planned cost for sure! is this the right method for cost control.? OK! I will show you that with simple Example in MS PROJECT 2016! As you can see, Cost, and Actual cost is larger that Baseline cost, because Duration is extended for 1 day. As you can see, now the Baseline Cost is the same and Actual Cost for Task 1, and it is $1600, which is not what I wanted. And that is exact what I wanted. 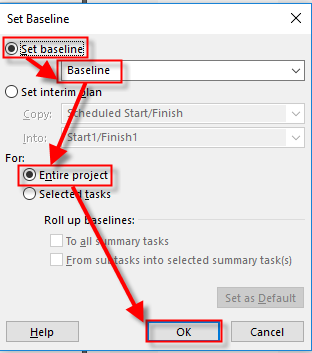 So, when you have some Actuals, and you want to save some changes, especially for new Tasks, in the Baseline, use firs Select those new Tasks, and then choose, Select tasks option. This entry was posted in Microsoft Project 2013, Micsrosoft Project 2016, MS PROJECT 2016, PMI, PRoject Management and tagged Micorosft Project 2016, Micorosft Project 2016 - Baseline, Micorosft Project 2016 - Costs, Micorosft Project 2016 - Tasks. Bookmark the permalink.